The brand-new couch you ordered finally got delivered, and not only has it made your house look completely different, but it has also made a dramatic change in the way your whole home smells. The smell is very reminiscent of that of a new car but magnified times 100, with a very strong aroma that has spread throughout your entire living space. What if I told you that smell is the same odor you may have smelt in your high school biology class? The smell that is being emitted from new furniture is called Formaldehyde, and it is the same chemical that is placed in the jars of frogs in biology class. Formaldehyde is a volatile organic compound (VOC) that is found in many products in and around your home. This chemical is commonly used to make building materials and other household products such as plastics, particle board, plywood, and furniture. You may wonder why some items in your home smell worse than others- like your new couch. This is caused by a process called off-gassing, when the chemical becomes a gas at room temperature and the chemical gas is released into the air by the source of the chemical, like new couch, flooring, etc. When formaldehyde begins to off-gas it can not only impact the smell in the area but also impact the air quality and potentially the health of those exposed to this chemical. How can you minimize the effects of off-gassing and implement an effective formaldehyde removal process for your furniture? Find out below! How to Remove Formaldehyde in Furniture? When a new item or piece of furniture enters your home the off-gassing process is most likely not far behind. 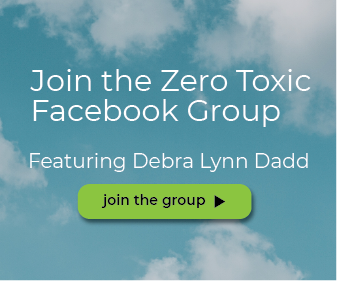 What can you do to expedite the formaldehyde removal process and minimize the potential health effects of formaldehyde release in your home’s environment? Follow the process below to eliminate formaldehyde on your furniture. Fresh Air: Airing out any new furniture before placing it inside your home is a good start, as it allows dry air to warm the material to trigger the off-gassing process. You can place furniture on a covered porch or inside an open garage to let this process commence. Reduce Humid Conditions: Humidity is another factor that contributes to formaldehyde off-gassing. The more moisture in the air, the more likely the off-gassing. Running an air conditioner all the time will reduce the chances of off-gassing. 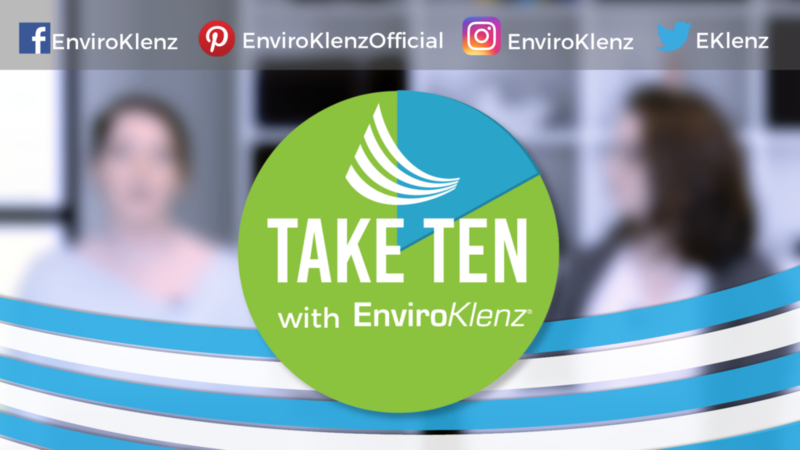 Remove Formaldehyde from Furniture: Applying a VOC and chemical removal product like the EnviroKlenz Everyday Odor Eliminator, onto furniture will eliminate both the chemical itself and the odor. 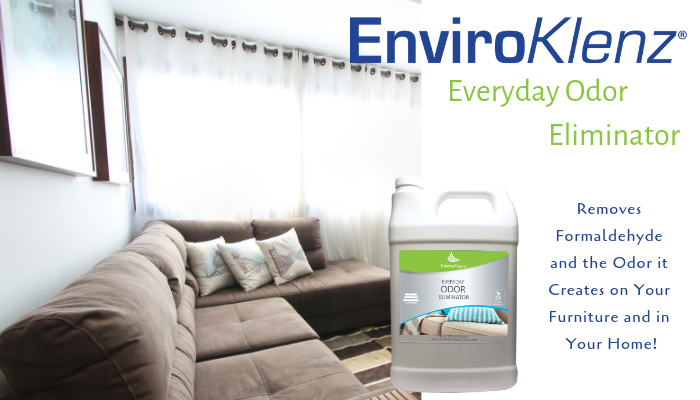 The EnviroKlenz Everyday Odor Eliminator was specifically designed for the purpose of not only removing the chemical odors and VOCs, but also neutralize the chemical odors. 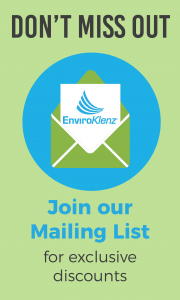 The EnviroKlenz patented earth mineral technology is a nontoxic solution that doesn’t mask the chemical odor but actually eliminates it completely from the source.